The motif is a hatchet (=Nata). 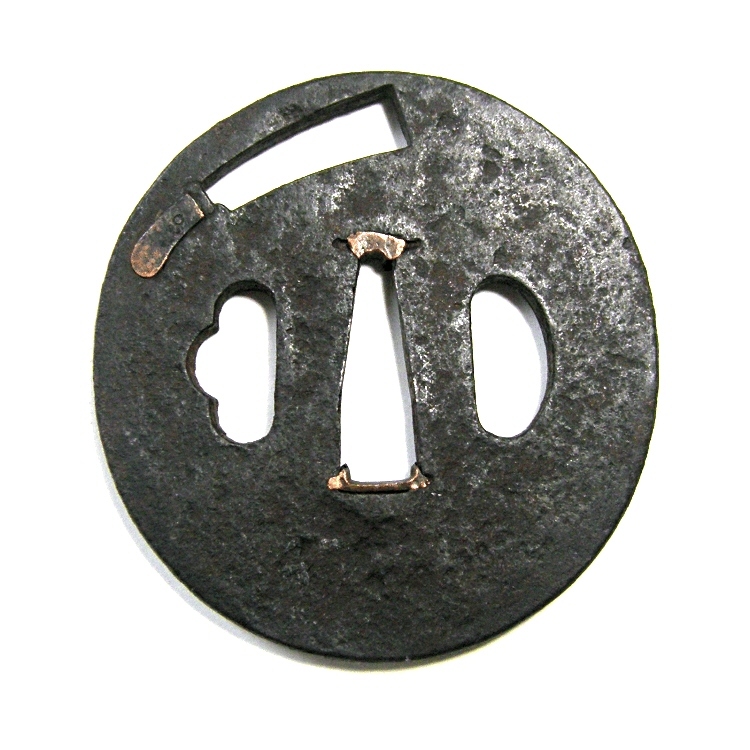 It is expressed in the Ko-Sukashi small openwork and the Zogan inlay with copper. 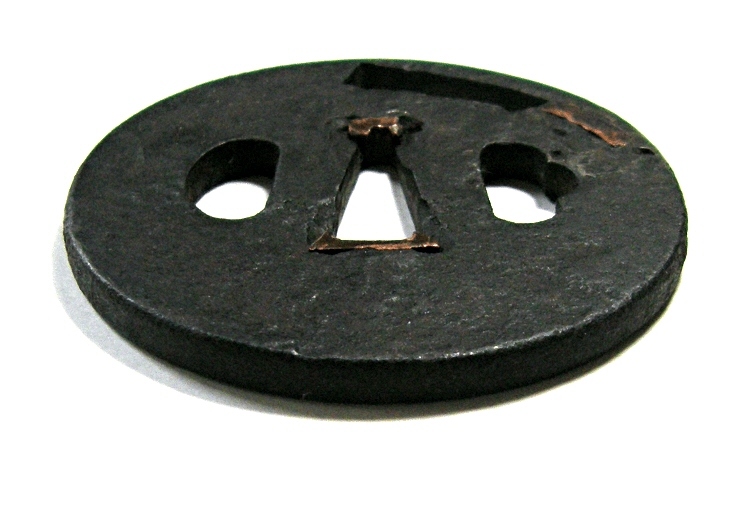 The color of this tsuba is nice as it is made from well wrought iron. 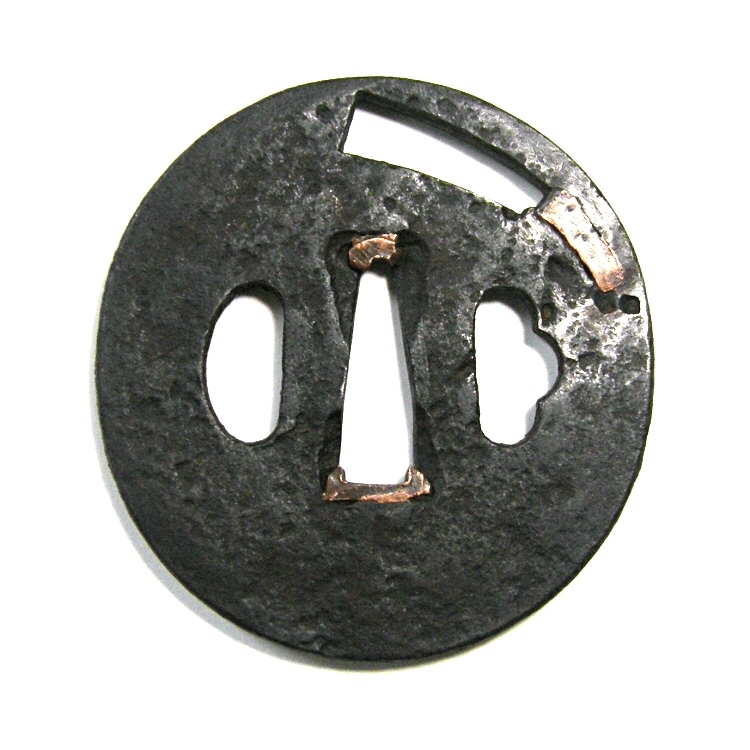 A hatchet is expressed in small openwork. It is inlaid with copper.